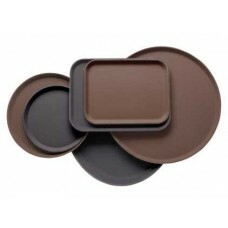 Trays with a non-slip surface to help reduce breakages. 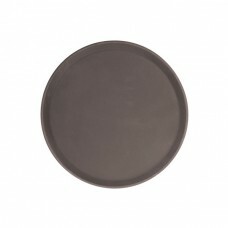 Oval Fiberglass Tray 22" x 27"
Round Fibreglass Black Tray 11"
CamTread Oval Serving Tray 22" x 27"
Non-skid rubber surface with heat resistance between -10°C and 100°C Excellent performance, stac..
CamTread Oval Serving Tray 24" x 29"
Round Rubber Lined Black Tray 11"
This slip resistant tray is ideal for safe maneuvering of meals and dishes across tables. 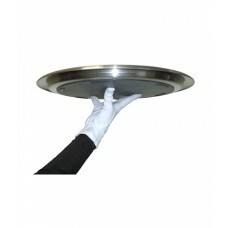 Slip resi.. 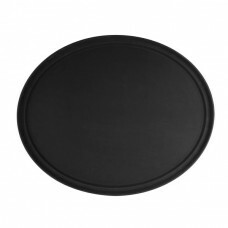 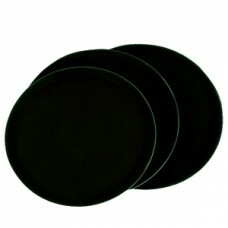 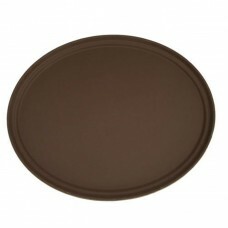 Round Rubber Lined Black Tray 14"
Round Rubber Lined Black Tray 16"
This truly unique 18/10 Stainless steel non slip tray provides a great way to serve drinks in busy e..